Are you looking for an interior designer or an interior design company for your next residential or commercial project? MDK Designs provides expert interior design consultation and services. Our interior designers provide clients with unique interior design ideas for renovations and new home builds. Our interior design firm provides exceptional customer service throughout the entire design and decorating process. Let your hassle-free and fun interior design experience begin. 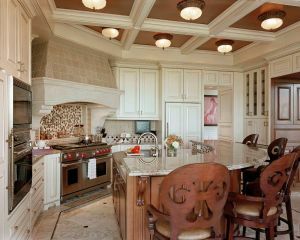 This client desired an old world feel so MDK Designs combined various textures to create a warm, beautiful and highly functional kitchen where the entire family could gather. Afterall, the kitchen is the heart of the home. MDK Designs provided the following kitchen interior design services: space planning, kitchen layout, tile design, appliances, color scheme and all specifications. An MDK Designs client wanted to achieve a modern classic look with very clean lines. This goal was achieved by combining oversized thassos granite with a smoked glass tile. 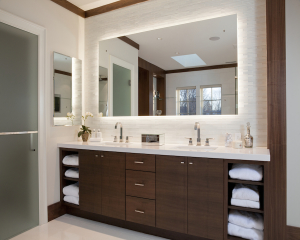 A custom vanity was built from walnut surrounded with staggered glass tile as the backsplash. Texture and softness were added by using customized fabric wall panels as a backdrop to compliment the overall interior bathroom design. Learn more about 2018 bathroom design trends. At MDK Designs, our goal is to make interior designing and decorating easy and exciting. We’ll work within your budget and provide you with exceptional value. If you have a vision for your home or commercial space, MDK Designs will help make it a reality. We create beautiful spaces that are stylish and highly functional for everyday living. 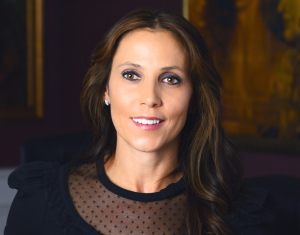 Melanie Kokoros, Interior Designer and Owner of MDK Designs, offers interior design solutions that will reflect your personality and individual decorating style. Melanie and her design team listen closely to your needs and budget with the sole intention of making your interior design ideas come true. Your vision coupled with our expert interior design expertise is the recipe for decorating even the most challenging spaces. I had the pleasure of working with Melanie on my residence (condo) and multiple 3 family buildings we converted to condo's. I was impressed with her vision and very pleased with the final results. Having worked with Interior Designer's before I realized Melanie was a great fit during our first meeting. The finished product was amazing and the feedback we got from realtors and prospects was even better. It really helped our properties standout from the rest. It also helped us get top dollar for our properties. I highly recommend her and look forward to working with her again soon on my next project. –Sotirios L.
Over the last several years Melanie has helped us with our home and business office. Working with Melanie is always an enjoyable experience and her ideas, creativity and suggestions are always spot on. The end result has been impressive! –Sal N.
Excellent, her design was incredible. We had a small kitchen renovation and she came up with a whole new look that the customer still raves about which is not always easy to do with limited space. Her attention to detail and follow up to make sure we always had all the products needed to continue moving forward was a welcome change. Not often we find this level of customer service throughout our projects. –Mark M.
Melanie is the best designer out there. Having her oversee our project was the best thing we did. From start to finish Melanie was there. Her design ideas were spectacular. Even years later, every morning I walk into my kitchen and say "I love my kitchen." Thank you to Melanie and her team! 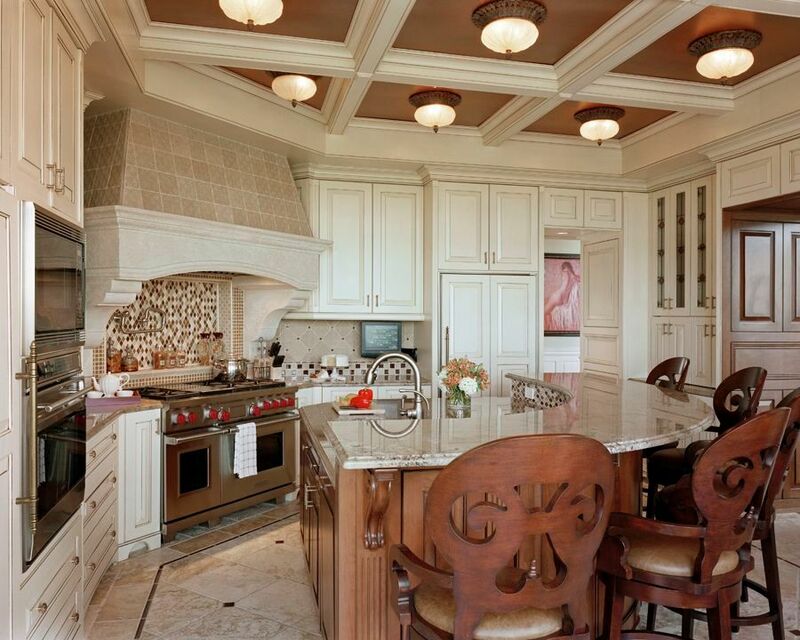 –Karen V.
Melanie provides unique interior design concepts, value and exceptional customer service. Her design process is hassle-free. She works within your budget from start to finish on residential and commercial interior design projects. Work closely with Melanie to achieve your design vision. Looking for complete customer satisfaction and dedication on your next interior design project? Contact Melanie Kokoros, Interior Designer, for a consultation.